Two Chicks On Books: Blog Tour- THE PERILOUS JOURNEY OF THE NOT SO INNOCUOUS GIRL by Leigh Statham A Deleted Scene and a Giveaway! Blog Tour- THE PERILOUS JOURNEY OF THE NOT SO INNOCUOUS GIRL by Leigh Statham A Deleted Scene and a Giveaway! Hey y'all! I have an awesome deleted scene from Leigh Statham's amazing Steampunk book THE PERILOUS JOURNEY OF THE NOT SO INNOCUOUS GIRL for you today! Oh and stick around for the giveaway! 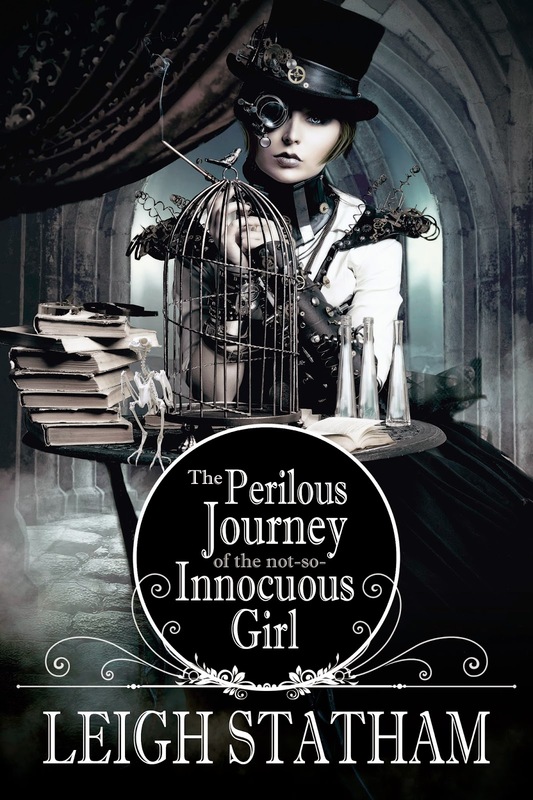 Haven't heard of THE PERILOUS JOURNEY OF THE NOT SO INNOCUOUS GIRL? Check it out! Lady Marguerite lives a life most 17th century French girls can only dream of: money, designer dresses, suitors and a secure future. Except she suspects she may be falling for her best friend Claude, a common smithie in the family's steam forge. The Perilous Journey of the Not-So-Innocuous Girl originally had a different ending. I wrote this whole chapter about Marguerite's father following her to New France and saving her/spoiling all of her plans. But it just seemed so convenient and lame in a dues ex machina kind of way. Dues ex machina - a character or thing that suddenly enters the story in a novel, play, movie, etc., and solves a problem that had previously seemed impossible to solve. I also cut an entire character. Originally, Claude had a very cranky older brother, Nigel. Here's a scene I took out where Nigel is being obnoxious. Marguerite wished Vivienne had been old enough to attend. She needed someone familiar to stand next to for the remainder of the evening; even Vivienne’s twittering would be welcome at this point. She wandered for a few moments, unable to locate even her father, when someone grabbed her elbow. She turned to see a sentry reached out to catch her attention. It was Claude’s brother, Nigel, he must have drawn an extra assignment. She wondered where they found a uniform to fit him for the occasion. He was much taller than Claude, or anyone else on the manor, standing at six and a half feet tall. Marguerite’s father kept both boys on after their parents passed from cholera several years back, and agreed to be their ward as long as they worked on the estate and learned a trade. Claude was a model orphan, grateful, hard working and humble. It said much about Lord Vadnay’s character that he‘d kept Nigel on as long as he had. The boy was always making mischief and Marguerite guessed he’d been assigned house duty tonight to keep him out of trouble elsewhere. None of which would matter in a few days: they were both leaving for New France and would probably never return. “What are you talking about?” This was not the sort of news she needed to hear at the moment. Marguerite was already walking away when he said this, she heard him but only just, and decided it wasn’t worth the worry. Nigel had never liked her and the feeling was mutual. 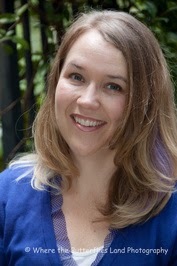 Thank you for having me on your blog! I hope you enjoy the book. Great post this book looks and sounds fatastic I love the cover. Thanks for the awesome giveaway! I have only read a few steampunk novels and I really enjoyed them. I can't wait to read this! Thanks for the giveaway! I love the cover and steampunk books! This is a book I am looking forward to.